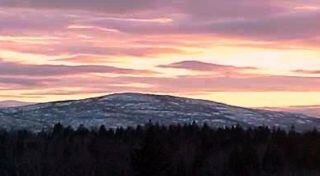 Vacation Rental Maine - Acadia National Park: Acadia National Park, Maine Vacation Rental Is Your Home-Away-from-Home - Year Round! Acadia National Park, Maine Vacation Rental Is Your Home-Away-from-Home - Year Round! 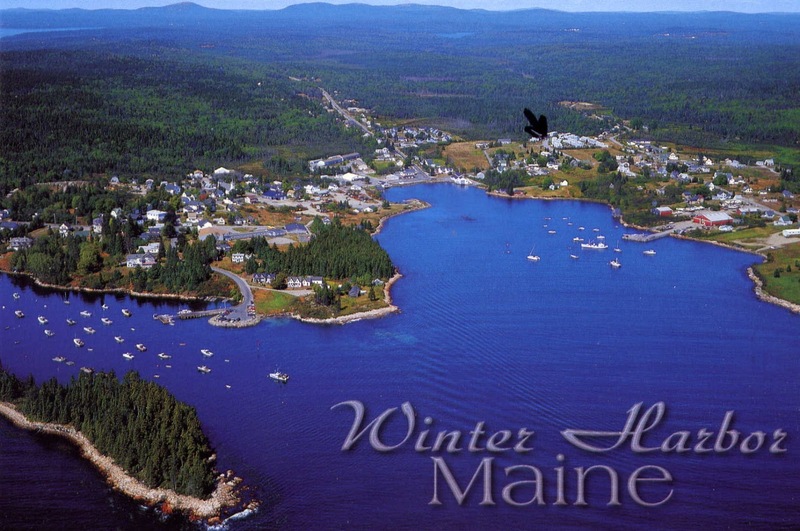 4 Season Maine Vacation Rental in coastal Winter Harbor, Maine, a home-away-from-home while you visit Acadia National Park! See below for more photos and booking information. Our Winter Harbor, Maine vacation rental is ideally located next to Acadia National Park on the Schoodic Peninsula. The back deck has views of Cadillac Mountain and stunning sunsets. returning guests in good standing get a break on the cost the next time they stay! Commercial vacation rental listing sites charge you up to hundreds of dollars extra to book through them! 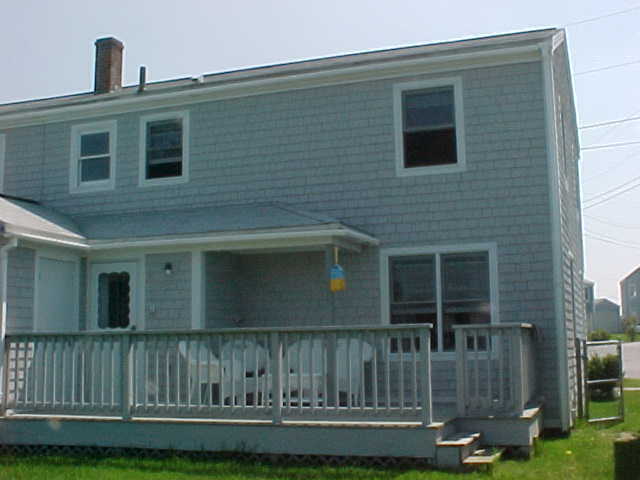 Our lovely Maine vacation rental home is an easy 3 minute stroll from the waterfront. This is the Schoodic Peninsula, so you are never more than yards from the ocean! Many people say that the Schoodic section of Acadia National Park is the most beautiful part of the Park, and the Schoodic Loop road has the best access to the dramatic views in the entire Acadia National Park! The entrance to the Schoodic section of Acadia National Park, including Acadia National Park's new, pristine Schoodic Woods hiking/biking trails, is just 1/2 mile away from the house! 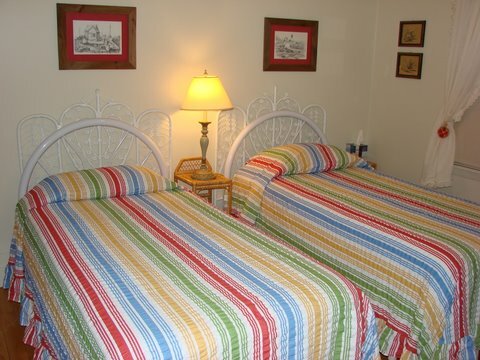 Fully furnished, very clean, equipped for short or long stays. WIFI, Cable TV. 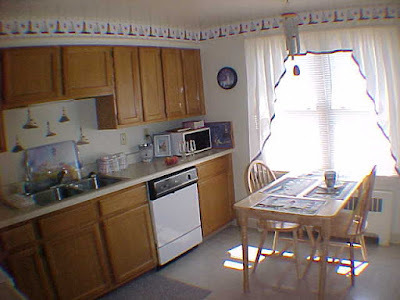 Kitchen - Eastern exposure provides cheery, morning sunshine! 4 burner electric range w/full-size oven, Bosch dishwasher, full size refrigerator, microwave, garbage disposal, drip coffee maker, coffee grinder, French press coffee maker, tea pot, toaster, blender, dishes, glassware, pots, pans, utensils, table and chairs to seat up to 4 people. In the kitchen storage closet: lobster pot, cooler, salad spinner, wheeled shopping cart (grocery market is easy walking distance from the house). Living/Dining room - extends from front to back and its southern exposure receives cheerful, bright sunlight all day! Couch, chair, large wicker rocking chair, table/desk, flat screen tv, original Maine art, bookcases containing plentiful reading material...including area and Acadia National Park guide books, modem, WIFI router, and binoculars. Furnished with wicker seating and two additional deck chairs, grill and wooden table (not shown) for dining al fresco with a beautiful view! The private deck is a favorite spot where guests enjoy relaxing with the view of iconic Cadillac Mountain and gorgeous sunsets! Front queen bedroom (pine chest of drawers made in Maine), closet, swivel rocker, ceiling fan, flat screen tv. Receives morning sun (but has room darkening shades). Back queen bedroom. Small but pretty, with flat screen tv, double closet, chest of drawers, ceiling fan, hassock. View of Cadillac mountain and meadows behind house. Afternoon sun (room darkening shades on windows). Bedroom #3 has 2 twin beds. Chest of drawers (pine, made in Maine). Morning sun (room darkening shade on window). In closet: Pack n Play porta-crib, ironing board, table fan. We've been hosting very happy guests since 2005! The black arrow points directly at our roof so you can see the exact location of this Acadia National Park vacation rental home in Winter Harbor, Maine! Acadia National Park's 100th Birthday Means FREE Access for You! Enjoy The Views From Your Car! Porcupine! Get up close and personal, but not too close!